ThinkLiveBe Property Team -- Kathryn Stelljes P.A. ThinkLiveBe Property Team is a team at the Downtown Orlando Keller Williams Realty at the Parks office. 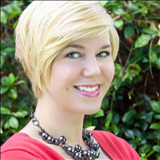 Kathryn Stelljes PA is the owner and licensed agent. She specializes in selling homes in Downtown Orlando, College Park, and Winter Park. Learn More about us today. This is our website dedicated to buyers searching for homes for sale in Downtown Orlando, College Park, and Downtown Winter Park Florida. Feel free to search all of Central Florida. We service the entire area as well. Sign Up for Listing Alerts for Downtown Orlando homes, College Park homes, Baldwin Park homes, and Winter Park homes. Or Get to Know the area by becoming a Market Insider. Interested in Listing a Home in the Area? If you are interested in listing a property Downtown Orlando, College Park, Baldwin Park, Winter Park or the surrounding areas, visit ThinkLiveBe.com to get to know us better and learn how we sell listings using custom marketing plans and five star customer service. Learn more about our targeted search for buyers for your unique home. The information contained herein has been provided by MFRMLS. IDX information is provided exclusively for consumers' personal, non-commercial use, that it may not be used for any purpose other than to identify prospective properties consumers may be interested in purchasing, and that the data is deemed reliable but is not guaranteed accurate by the MLS. Listings last updated Apr 26, 2019 10:08:am.